Sometimes, who you know isn’t enough to bail you out. Wanting Qu, Chinese pop singer and the girlfriend of Vancouver’s mayor, is the daughter of Zhang Mingjie, an official in northeast China who has been purged and is now in danger of execution for embezzling over $50 million. Qu, whose first name is pronounced “wahn ting,” recently released a single called “Your Girl” in dedication of her mother, who she hasn’t seen for two years. 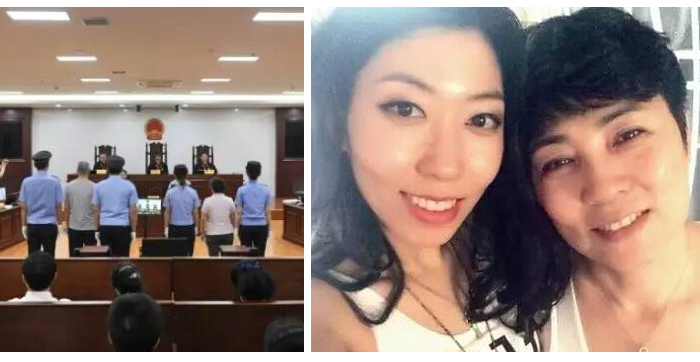 Qu Zhang Mingjie, as she is referred to formally, was tried on July 19-20 at the Harbin City Intermediate People’s Court in northeast China. It is also the city where she served as an official until her arrest last April. If the allegations are true, Zhang is hardly innocent. According to Xinhua, the state-run news agency, she embezzled 350 million yuan (about $52 million) through deception surrounding a 2009 deal that placed a state-owned corn farm in Harbin, Heilongjiang Province, into private hands. Over the next three years, Zhang split the profits with an accomplice. “Zhang deceived, with multiple reasons, the management of the farm and senior officials in charge of the matter into signing a final agreement that included terms on the transfer of the rights of using state-owned land,” Xinhua reported in a quote translated by South China Morning Post. The authorities weren’t the only victims of Zhang’s corruption, Xinhua said. She fleeced hundreds of staff living in the farm dormitories, as the farm’s new private owner shut off the hot water to the housing while stopping payments for pensions, health insurance, and other welfare services once provided through the company. In the harsh northeast Chinese winters, the dorm’s pipes froze and burst, and workers were forced huddle around burning coal to keep away the chill. Wanting Qu, 32, moved to Canada when she was 16. She works for the Canadian record label Nettwerk and appeared in the 2013 CCTV New Year’s Gala, a lengthy propaganda show broadcast to hundreds of millions of viewers by China’s state-run television. She has been in a relationship with Vancouver Mayor Gregor Robertson since last year. Robertson has been accused of tacitly supporting Chinese regime interests. In 2010, when a Vancouver court ordered the revision of 2006 bylaw preventing protests by the banned Falun Gong spiritual practice in front of the Chinese Consulate, Robertson invited Chinese diplomats for consultations on the matter. This was widely criticized in the Canadian press. “The last people with whom we should be consulting on this matter are representatives of a government that regards human rights and personal freedoms with such contempt,” wrote The Globe and Mail. “The Chinese government is not a ‘stakeholder’ in anything in this city,” the Vancouver Sun said.